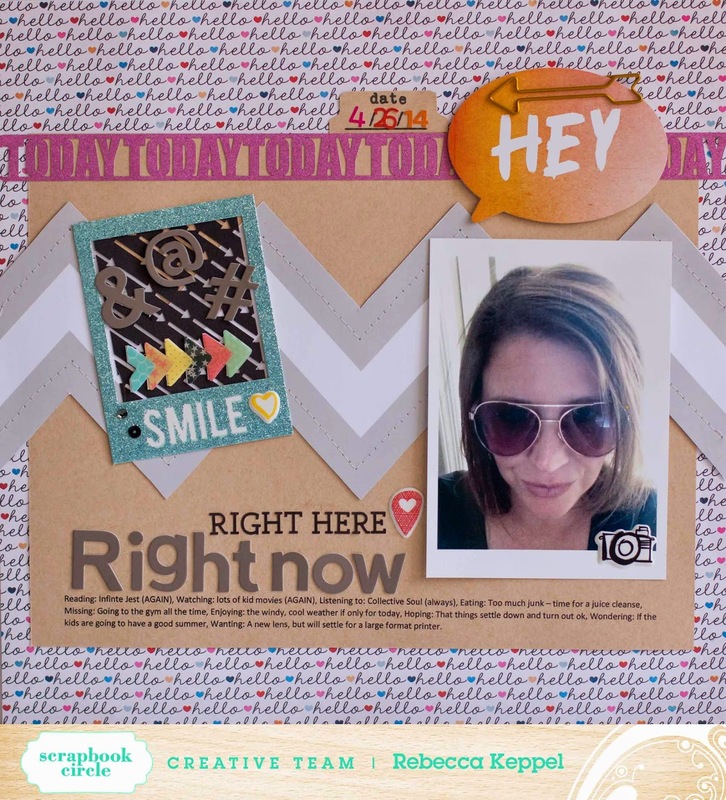 This month at Scrapbook Circle my One Item Wonder for the May Kit High Five is the Alison Kreft/Webster's Pages photo corners. I decided to use them to create a unique embellishment. I lined them up in a row and cut off the additional paper or adhesive so they resemble an arrow. But I didnt stop there! I covered them with a THICK layer of glossy accents to give them a 3-dimensional shiny look. Then I attach the whole thing on top of a cardstock card I cut with the free Scrapbook Circle cut file and layered some puffy stickers, sequins and Jillibean characters on top. 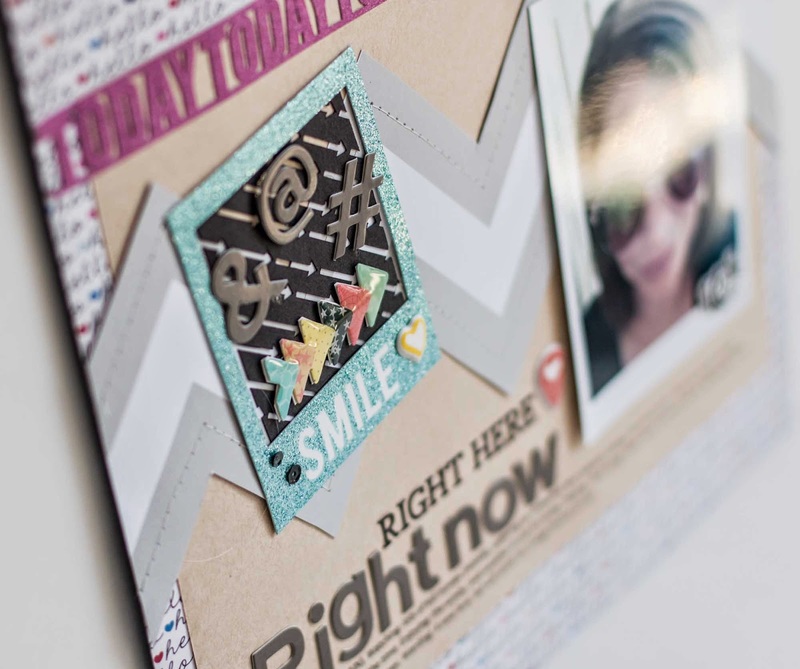 The Heidi Swapp glitter polaroid frame pulls it all together. 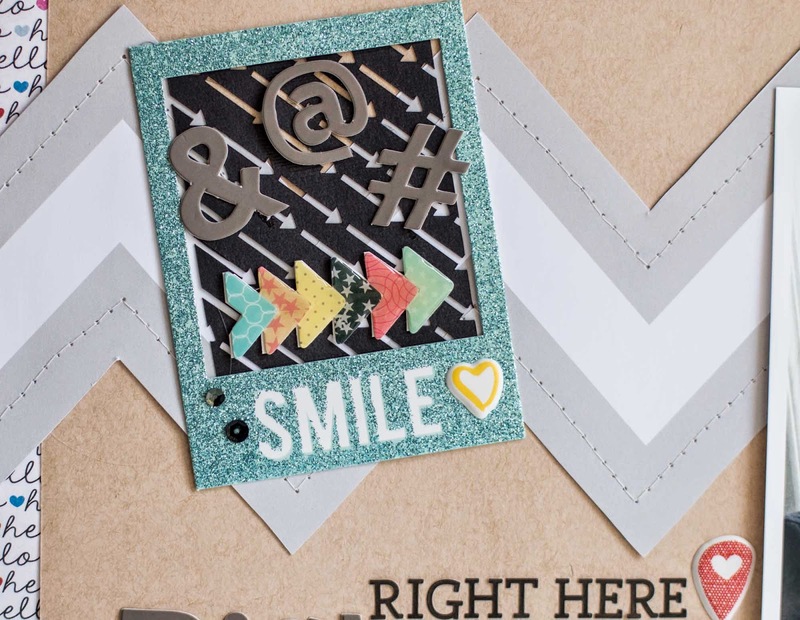 I also loved the exclusive Scrapbook Circle kit that came with High Five and was sure to use that on every layout! 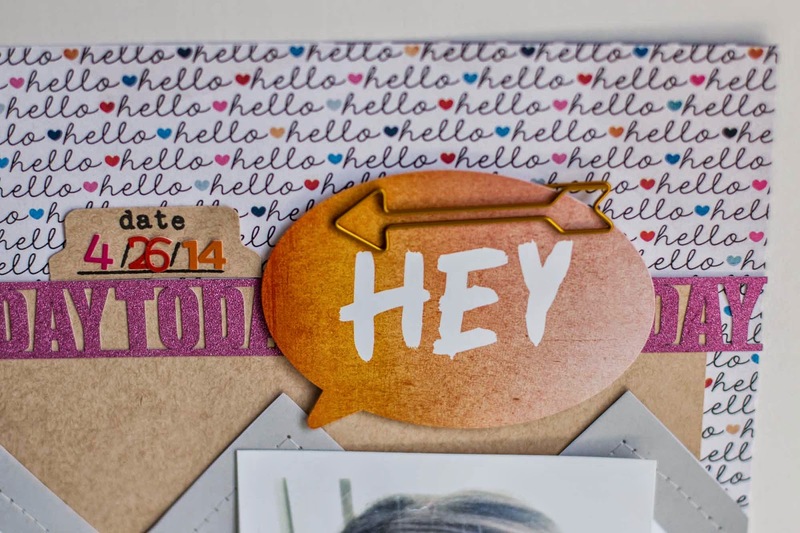 Do you have any clever uses for photo corners? I would love to hear! There may be a few High Five kits left, but hurry I am sure they are going fast! okay--LOVE the picture of you! and the chevron--AWESOME! !